Jenkins Town View Apartments is an apartment complex that provides affordable housing for low-income elderly and disabled persons. Built in 1980 with assistance from the Department of Housing & Urban Development (HUD), the six-story building located on the Jenkins’ campus provides 60 single-bedroom apartments, including some of which are handicap accessible. 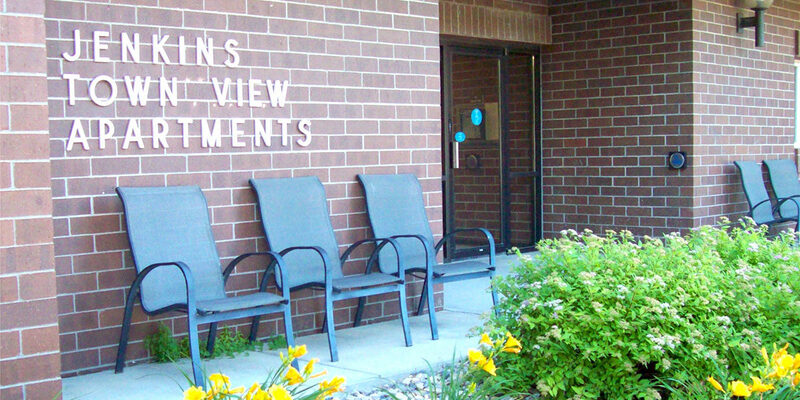 To be eligible for housing at Town View, applicants must meet certain income eligibility guidelines. A portion of the monthly rent is generally subsidized by the federal government for eligible tenants. Large functional laundry facilities for tenants. A location close to beautiful uptown Watertown within walking distance to shopping. Affordable, convenient and comfortable – that’s Jenkins Town View Apartments! To request an application or obtain more information, call Cheryl Squires at (605) 886-1465.